Last summer, audiences were mesmerized as the Sundance Channel debuted a daring new series about four dynamic women who live in L.A. The Push Girls are not your average reality-stars, however. 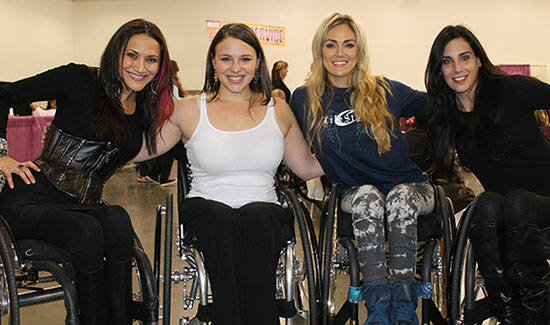 While they are indeed beautiful, outgoing, confident and determined, one small detail makes them stand out of the crowd—they happen to use wheelchairs to get around. In season one, viewers got a peek into the lives and friendships of Auti Angel, Mia Schaikewitz, Tiphany Adams and Angela Rockwood. 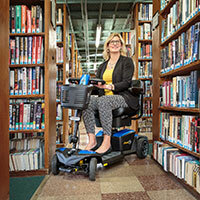 Long-established stereotypes of people who use wheelchairs seemed to shatter with images of shiny wheels, animal print, convertibles and high heels. Push Girls has also done a great job of showing that despite a disability, we still share common life experiences, including marriage and divorce, love and heartbreak, triumphs and moments of self-doubt. While the first season was really about getting to know the Push Girls, season two will take us deeper into the lives and relationships of the return cast. Chelsie Hill, who frequented last season as a guest, will continue to have a role on the show and some new friends will be introduced as well. Also, Abilities Expo will make another appearance, which is great! With rumors of new romances, some peer-mentoring, and all kinds of adventures that give a whole new meaning to the word independence, audiences are sure to be surprised, amazed and inspired. There are a number of things that make the Push Girls so intriguing, not only to the disability community, but also to mainstream audiences. Maybe it's because they openly defy the popular stereotype of a person with a disability, or possibly because they remind people to embrace their own differences and live life to the fullest. One thing's for sure—the Push Girls feel honored to be in the position to be touching so many lives and affecting change on such a mass scale. In her own words, Auti recently shared, "The most interesting part about filming Push Girls is the opportunity to change the perception that people have about persons with different abilities, showing them that we are people first. We are not disabled...We Are Differently Abled. We just do things differently." Mia agrees that the positive response has really meant a lot to the girls and to their community. "I think it just means that society is ready for change and growing towards more acceptance. Though there is still more that can be done, I feel the show's success is one of current examples of more positive exposure on the horizon for disability in the media." The Push Girls really represent a true, new “roll” model and have enjoyed rave reviews and constant media attention. Viewers can tune in to the premiere of season two of Push Girls on June 3rd and continue to follow the lives of Auti, Mia, Tiphany, Angela and friends. Just remember, if you can’t stand up, stand out.